Kentucky Sen. Rand Paul announced Wednesday that he is ending his 2016 presidential bid, and will focus on his reelection bid for Senate. "It has been an incredible honor to run a principled campaign for the White House. Today, I will end where I began, ready and willing fight for the cause of Liberty,"
Paul said in a statement. 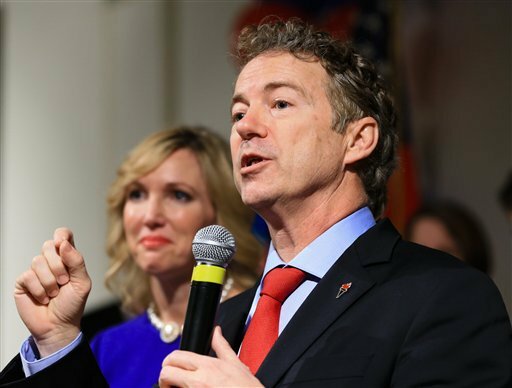 "Across the country thousands upon thousands of young people flocked to our message of limited government, privacy, criminal justice reform and a reasonable foreign policy,"
Paul continued. "Brushfires of liberty were ignited, and those will carry on, as will I."